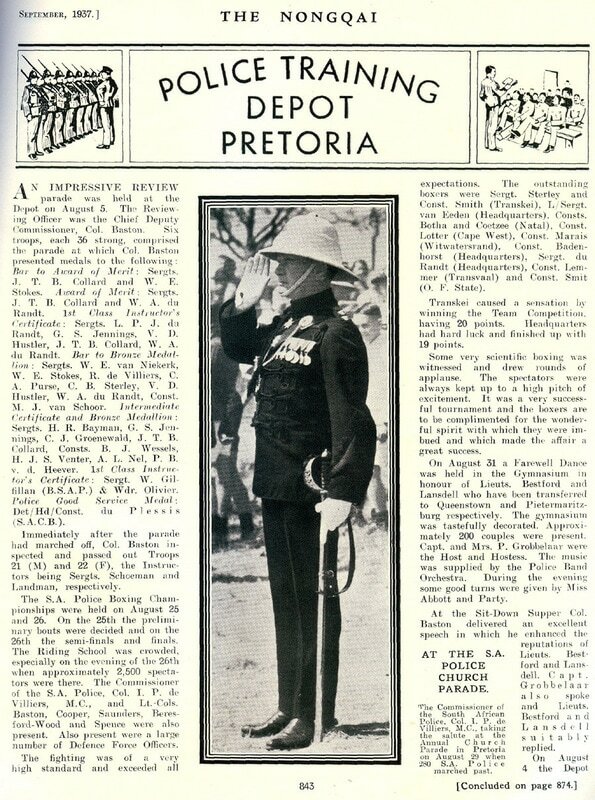 Major-General Isaac Pierre de Villiers was born in Somerset East, Eastern Cape Province on 20 August 1891 to Jan S. de Villiers of Cape Town. He was educated at the South African College School in Cape Town and the University of Cape Town (UCT) where he studied law. He became an attorney. 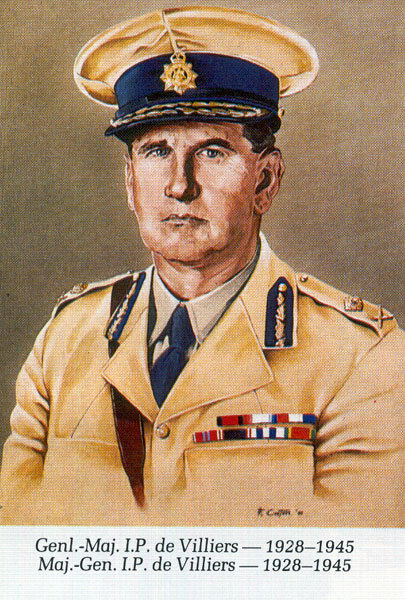 Maj-Gen De Villiers served in the Union Defence Force (UDF) in German South-West Africa and in the Royal Artillery and Europe Front. He was commissioned in the Royal Artillery during World War I, serving in German South-West Africa and the Western Front. He was awarded the Military Cross while serving in the 68th Brigade. Note: All South African soldiers in Europe and German East Africa were placed in the British Army for financial and political convenience. 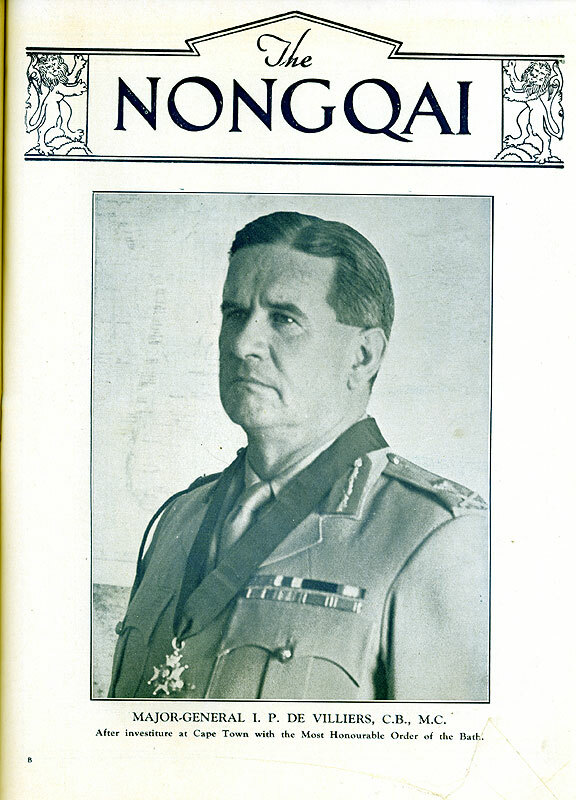 Early in World War 2 De Villiers volunteered for military service and was appointed General Officer Commanding 2nd South African Infantry Division between 1940 and 1942. A very young Lieutenant IP de Villiers during WW1. In addition to the honours for his military service he was appointed a Commander in the Venerable Order of Saint John in 1936 [The London Gazette: no. 34297. pp. 4013–4014. 23 June 1936. ], and a Knight in the same order in 1943 [The London Gazette: no. 36315. p. 114. 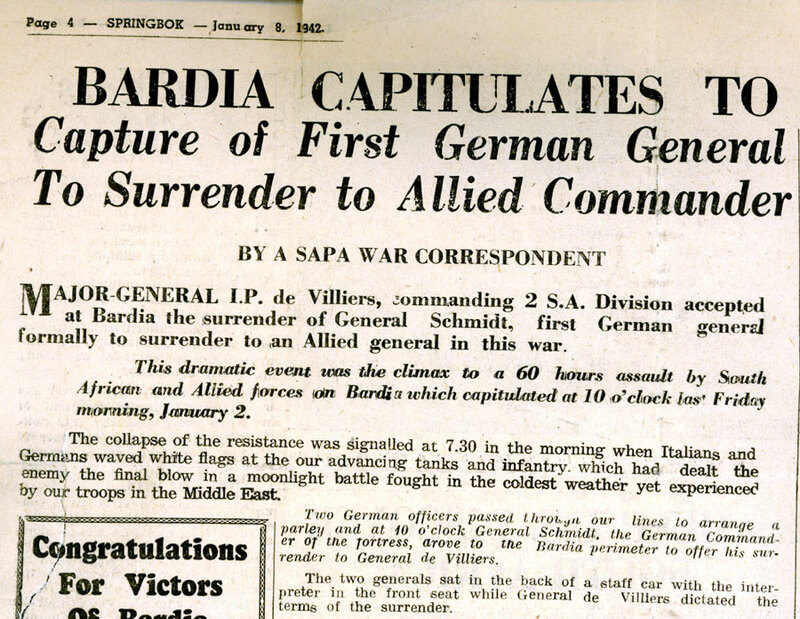 4 January 1944.]. He died in Pretoria on 11 October 1967. 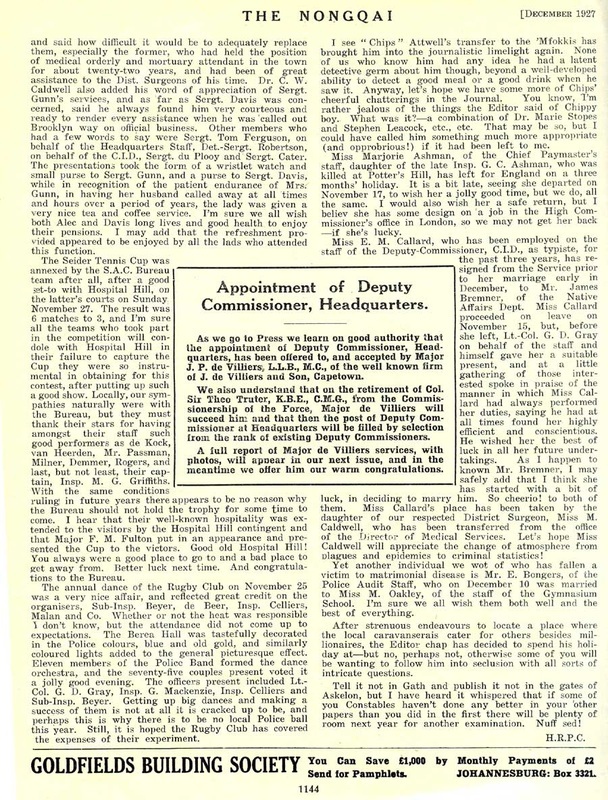 The December 1927 issue of the Nongqai announced that the appointment of Deputy Commissioner, Headquarters has been offered to, and accepted by Major J.P. de Villiers, L.L.B., M.C., of the well known firm of J. de Villiers and Son, Capetown. 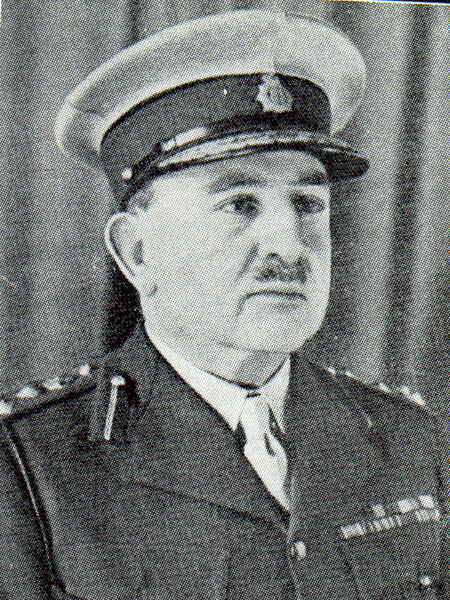 Brig GCR Baston was Acting Commissioner of the South African Police whilst Maj-Gen IP de Villiers served in the Union Defence Force. Additional and interesting information about Maj-Gen I.P. 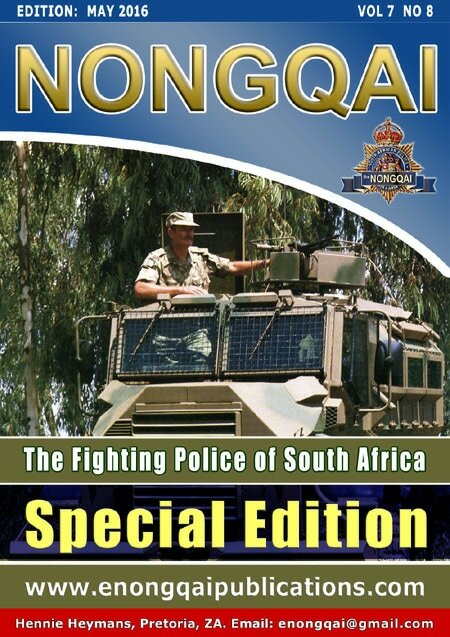 de Villiers can be found in the 'modernised' Nongqai edition Vol 7 No 8 (May 2016). Click here to read online for free.